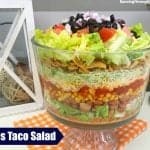 A Taco Salad can be the perfect dish at any time of year, it’s just a matter of what you want to mix in. 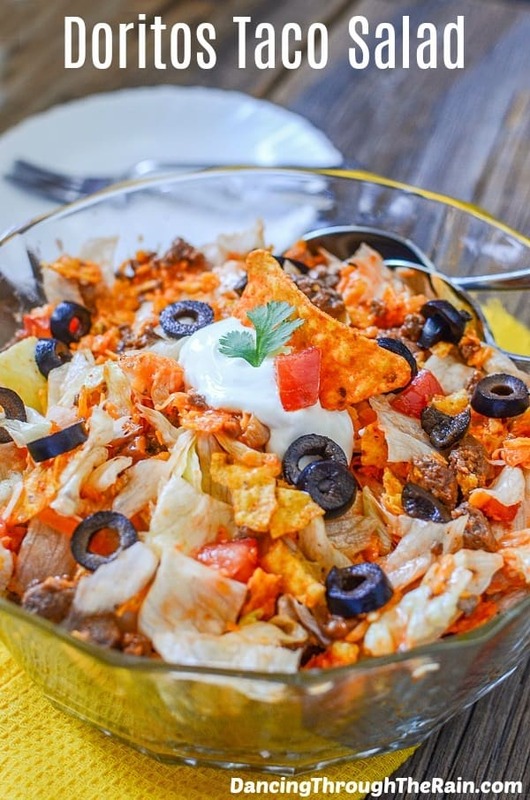 And you can’t go wrong with a Dorito Salad – particularly when it’s so easy to make! 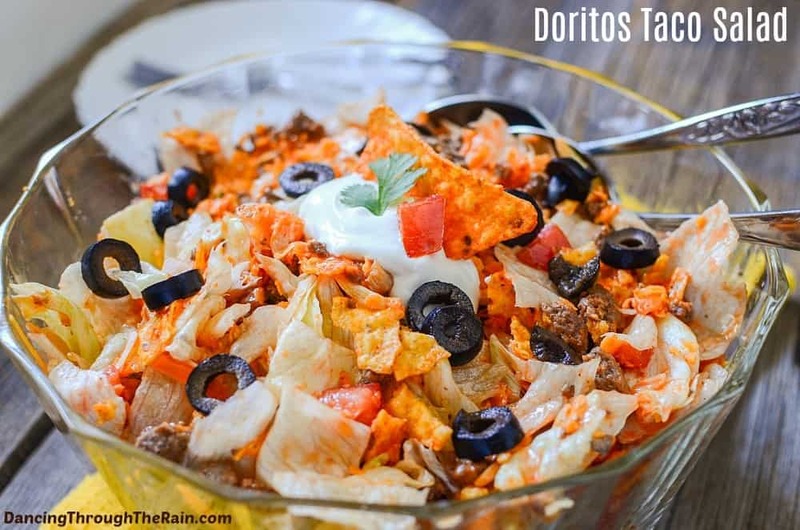 My Taco Salad with Doritos recipe can really be made with any of the favorite salad ingredients that you have on-hand, but this is the way I like to make it. 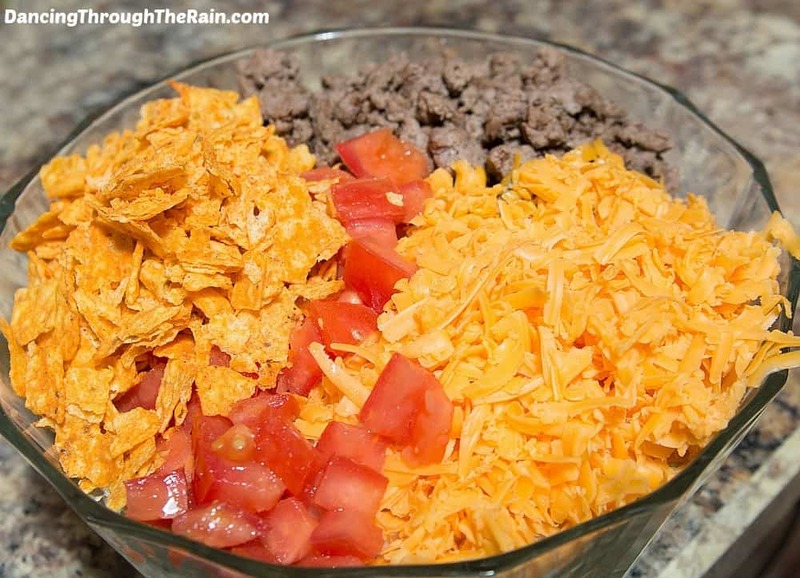 If you prefer Fritos, give my Taco Salad with Fritos a try as well! 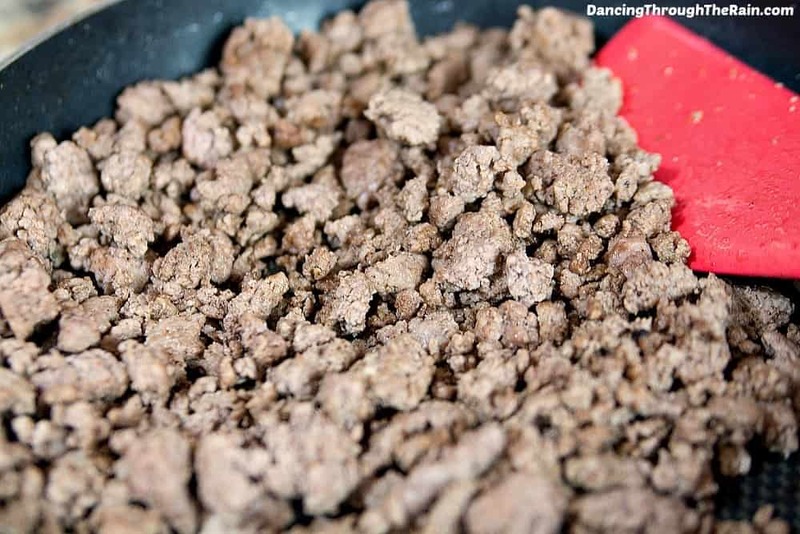 In a large skillet, brown and break up the ground beef or turkey over medium heat. Drain the fat and return to low heat. 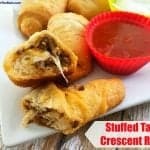 Top with a packet of taco seasoning and mix thoroughly. While your meat is cooking, add your Doritos to a large Ziploc bag and seal. Gently crush the chips so that they are bite-sized pieces, but not turned to powder. 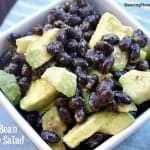 Chop the lettuce and add it to a large mixing bowl. 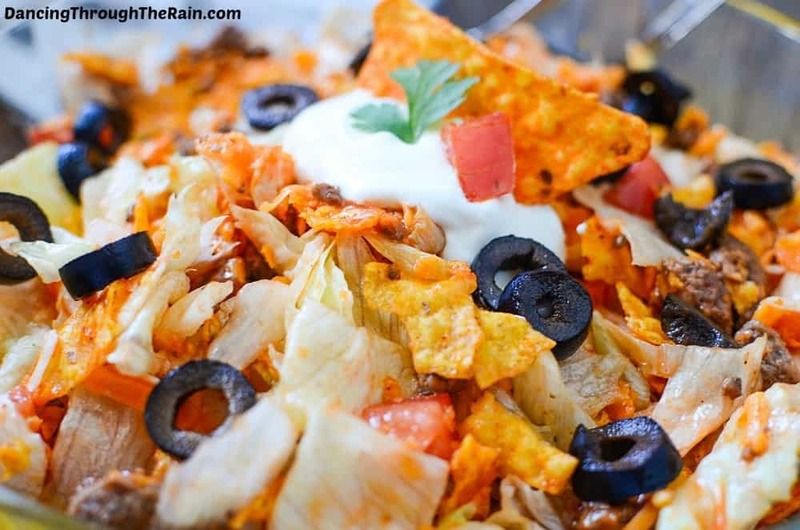 Top the lettuce with your meat, tomato, cheese, olives, and Doritos. Pour in your dressing and mix thoroughly. 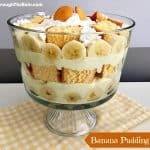 Place the mixture in a trifle dish or large serving bowl and serve with a dollop of sour cream. In a large skillet, brown and break up the ground beef or turkey over medium heat. Drain the fat and return to low heat. 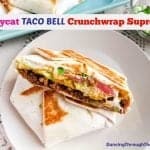 Top with a packet of taco seasoning and mix thoroughly. 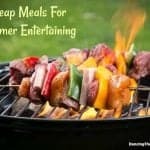 While your meat is cooking, add Doritos to a large Ziploc bag and seal. Gently crush the chips so that they are bite-sized pieces, but not powder. Chop lettuce and add it to a large mixing bowl. 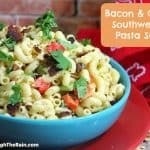 Top with your meat, tomato, cheese, olives, and Doritos. 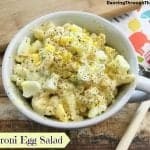 Pour in your dressing and mix thoroughly.